After capturing the Family Circle Cup and overall 40th career title last month, Grand Slam tennis champion Serena Williams sets her sight on Paris, where she'll attempt to claim her first French Open title in 10 years. After capturing the Family Circle Cup and overall 40th career title last month, Grand Slam tennis champion Serena Williams sets her sight on Paris, where she'll attempt to claim her first French Open title in 10 years later this month. Whether on the offense or defense, Serena’s powerful style of play inspires fear in those who challenge her. With the Dri-FIT moisture wicking properties of the Statement Nike Rally Dress, Serena takes control of the game in comfort, while the extra thick strap provides support rendering her torrential backhand and overall power unstoppable. Serena will also lace up a White/Black-Tropical Twist colorway of her Air Max Mirabella 3 signature shoe. 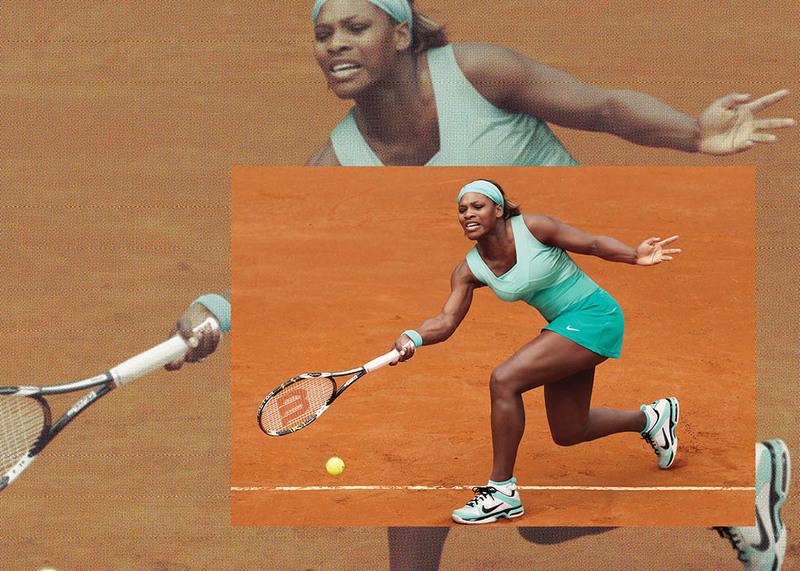 You can purchase the 2012 French Open Serena Williams Collection at NikeStore today. The French Open stars on Sunday, May 27.